I think Chinatown Wars may have gone under the radar for a lot of people. Maybe it’s the popularity of GTA 4 and 5 but despite the fact that Chinatown Wars has, to date, been released on nearly every single portable platform I almost never heard of anyone ever bringing it up. It’s a shame, because even despite its relatively small nature and scope especially compared to its console counterparts, I think that Chinatown Wars is possibly the greatest entry in the franchise. And yes, that actually includes GTA 5. I don’t mean that as an insult to GTA 5: It’s a much bigger and expansive game that’s certainly ambitious and impressive and worth all the praise. That said, it has some extremely high moments amidst some pretty low moments that just drag on too long, and often it feels too big for its own good - large for the sake of large. But for the life of me I can’t find anything wrong with Chinatown Wars. The characters and dialogue are funny, the protagonist is likeable in the Lo Wang (of the new Shadow Warrior games) snarky sort of way. The cop chases are super aggressive and exciting. The mission variety is great, and they - as well as the rest of the game - absolutely nail the portable nature in that missions are quick and dirty (usually five minutes a piece) and always interesting. They never overstay their welcome and there’s always something else to do. Even their first foray into gimmickry via the DS’s touch controls was nothing short of great. The microgames, which can take as little as a single second or two, add heaps to the experience in ways that really makes even the most mundane actions, like searching through the trash, addictive and fun. And the game is loaded with little actions like that, from scratching lottery tickets to hot wiring cars. Heck, it even made a smooth transition when it was ported to the PSP, using buttons and analogue movement instead of the touchscreen, and it actually works just as well if not quite as immersive and novel. The microgames were such a fantastic addition to the series, either by way of touch screen or traditional controller, that I’m actually pretty bummed they never made their way into the bigger games. If I had any criticism to give that system, it’s that Chinatown Wars doesn’t use it as often as I’d like. I really want to see more of it, and more of Chinatown Wars. More than a GTA6 or a spinoff of GTA5 like Vice City, I’d instead prefer to see a Chinatown Wars 2. And the Switch is the best device to put it on. The Switch’s biggest appeal is, of course, its portability, which is something that Chinatown Wars has managed to absolutely nail in terms of its design. Every single part of the game can be experienced for as little as five minutes at a time. I usually play a story or vigilante mission on my phone while I’m waiting in line for a coffee and I sometimes even have time to spare. The map of the game is actually quite big, but things to do and people to kill are always just around the corner no matter in which safe house you happen to spawn; especially the first one you are given in the tutorial, which is in the heart and center of the game world. The short nature of the missions may be a little off-putting to some who want a bigger offering when playing at home, but it’s really no different from having checkpoints between objectives per each mission. As soon as you finish one mission, it’s just as easy to jump into another. And another. And another. Despite the distractions the game offers, it’s easy to get lost in the game’s story in large part thanks to hilarious and weird dialogue that begins and ends every mission, each which have an interesting setup and execution. Even the “jobs” are tied together by a “streak” system, which nets you more pay the longer you spend doing them in succession. Having more customers as a taxi or taking out multiple crime waves as a police-car riding vigilante nets you bigger rewards and chains most instantaneously from one area to the next to keep you going. Oh, and speaking of vigilante missions, this entry has the best system yet: basically once you get into a cop car you access the radio and choose from three randomized police reports, which can vary in crime such as carjacking, mugging, or an arsonist spree and some others. After that, you simply head to your location and do what needs to be done, be it in the police car, your own, or on foot. It’s pretty nice not having to be required to be near the police car as it was in previous games and the variety of encounters sure helps from keeping the mode monotonous. I think the Switch’s best, most outstanding feature is the portable couch co-op (far and away the most “next-gen” thing I’ve seen so far). In the short time I played it, my best experience is going into a coffee shop with my girlfriend, pulling apart the controllers from the tablet, and messing around in Snipperclips (I know, I know, we’ll get Mario Kart soon I swear) while having a coffee together. Now it’s true that the Switch is certainly capable of rendering a fully 3D world, if Breath of the Wild is anything to go by, but the top down perspective and overall simplicity of Chinatown Wars really translates well to the singular JoyCon. There’s only a couple buttons that Chinatown Wars uses, effectively making it more similar to the likes of a SNES game despite its overall surprisingly big offering. Fighting and shooting is nearly automatic, and the top-down perspective could result in a shared screen co-op instead of a split one, which would be twice lighter on the load. Even the microgames could easily be performed by eschewing the touch mechanics in favor of the PSP style analogue and button combination (which still works fantastic, need I remind you). As for the driving, it could be simplified by having it required for the players to share a car if a splitscreen option is too heavy, with the second player acting as a gunner using the analogue stick while the first player uses the stick to steer. On the subject of the microgames, the JoyCons could support every possible control scheme. When at home, motion controls (namely pointing). When on the go, touch screen. If you don’t want to deal with those options in either scenario? Button presses. Again, they worked great on the PSP. 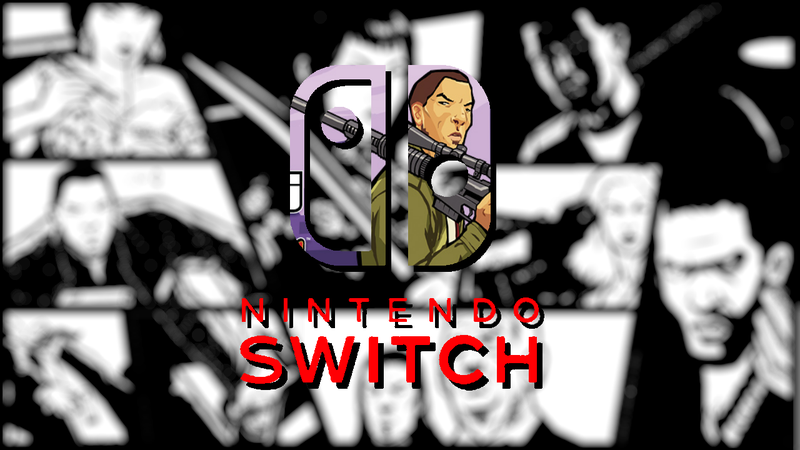 Chinatown Wars could easily use the maximum capability of the Switch’s multiple control scheme, and with fairly little effort to boot. A sequel built around the Switch as its own device? Probably more so. Speaking of insanity and complicated things, Chinatown Wars 2 could be an opportunity for Rockstar to unwind from trying to outdo GTA5 and instead see in what other direction they could take the series in with a smaller scope with less resources while still being put on a major console. All this is to say that I certainly don’t expect the game to literally be a sequel to Chinatown Wars, setting and title, but maybe building on the foundation of Chinatown Wars as its own thing. Like, New York Wars. Or Little Italy Wars. So what say you? Yay or nay on a CW2? Do you want to put GTA5 on the Switch? Or would you sooner rather see a GTA5 in general?